When you release an album that’s beloved by just about everybody, that threw you into superstardom, and sent you running at a breakneck pace, the follow-up better be damn good. Throw in tension so thick that it brought a hiatus, and you have The Civil Wars. Following up Barton Hollow was going to be near impossible without the tension, but throwing in the uncertainty of the band’s future and it’s a miracle that the band’s self-titled sophomore record ever saw the light of day. The tension between Joy Williams and John Paul White isn’t always noticeable on the new record. There are tense, forlorn moments where you can hear the disappointment in how things have gone, but their might be more upbeat moments on the duo’s new record, than their debut. The heartfelt, forlorn, deep longing lyricism will keep fans engaged in the new record. But will added instrumentation and more complex arrangements turn people off. It was clear from the album’s first single, and opening track, that this record was going to be different from Barton Hollow. Maybe that makes it less personal, and that’s a good thing for the parties involved. Or maybe it’s just a band wanting to and trying something new. The One That Got Away slowly builds over a layer of acoustic and electric guitars as Williams and White’s vocals blend a soar. When the album’s final chorus hits and the drums kick in as the song finally reaches its climax, you’re unguarded for a second as you realize that The Civil Wars have gone to a place you never expected. But whatever unease has set in quickly moves on as you get lost in the vocal combo punch that Williams and White have always had. If The One That Got Away knocks your guard down, I Had Me A Girl knocks down all your walls and thoughts about the Civil Wars. It’s almost a full blown, southern rock song. It’s contained enough to ever becoming this exploding rock and roll song but the vibe is there. Just when your walls have been knocked down, the record settles down. Same Old Same Old is a beautifully simple song. Acoustic guitar, vocals, and some minor strings and slide guitar riffs in the background. Even when the Civil Wars add new twists, nothing after I Had Me A Girl, even fazes you. Dust to Dust has a drum machine playing in the background of the track, but it’s so background that it almost gets lost in the melody of the song. By the time Eavesdrop kicks in with the full band, you don’t care because the sheer beauty of the song overtakes you. From This Valley is a straight forward country sound that sounds like it came straight out of the 60’s or 70’s. The way the strings compliment the arrangement and William’s vocals on Tell Mama is perfect. And there’s nothing to hate about the band’s cover of the Smashing Pumpkin’s Disarm. The track is beautiful and haunting. It’s not quite Johnny Cash covering Hurt, but it’s close. The melody for Devil’s Backbone isn’t as inherently catchy or compelling as we’ve come to expect from The Civil Wars. It’s the other “head scratching” moment on the record. The Civil Wars sophomore outing is in many far superior than Barton Hollow, but in it’s own way, is not even close to being as compelling. I appreciate the band doing something new and taking risks. And the moments that work (and all but one or two song don’t work) are simply stunning pieces of art. 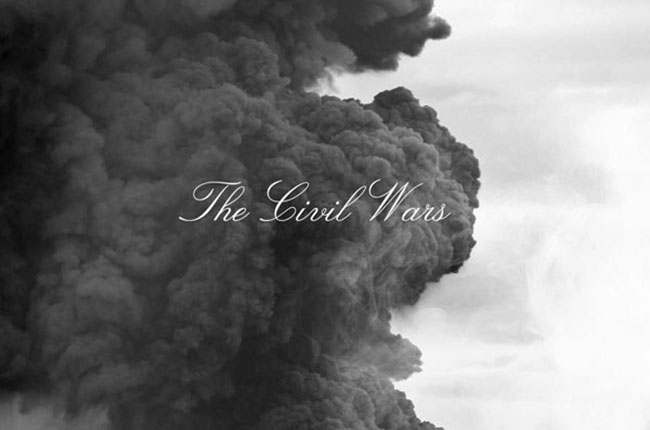 It’s hard to think that this is the last time we might ever hear The Civil Wars.